If you thought Amazon was just a site where you could easily order a self-help book, tissues, and a case of Oreo Thins, think again. 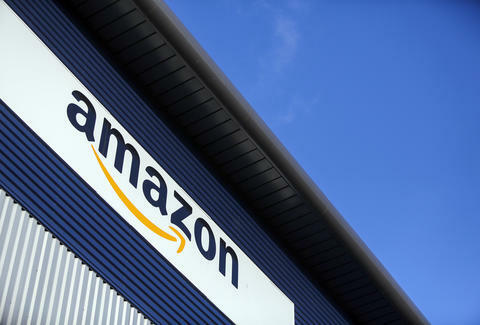 Soon, Amazon might become a place where you can physically go and buy pints of ice cream, bars of chocolate, and cupcakes in addition to those Oreo Thins (rough day, eh?). According to a new report from Business Insider, the online retailer might open nearly 20 grocery stores by the end of 2018. The brick-and-mortar locations (in cities like Seattle, Vegas, and NYC) look to be the beginning of the Seattle-based e-tailer's ambitious grocery store plans, as Amazon could potentially open up to 2,000 Amazon Fresh stores over the next 10 years. While nothing is currently set in stone, the stores might be a little Costco-ish, as only members of the Prime Fresh club (as in, people who currently pay $15 for the company to deliver groceries to them, and also the name of the coolest high school math club ever) may be allowed to shop there. One big question remains: Are the stores ever going to be fantastic enough to make you put on pants instead of waiting a few hours to have groceries show up at your door? We'll have to see. Lee Breslouer is a senior writer for Thrillist, and enjoys getting packages. Follow him to fast delivery @LeeBreslouer.